ArchWired.com is usually updated at the start of each month, and is best viewed with IE 6.0 or later. Please be patient while this page loads! 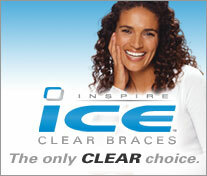 Invisible braces from Invisalign experts at Pearl Dental Clinic. Cosmetic dentistry information with a panel of experts at hand. More than Just Straight Teeth. NEW DentaSoak Retainer Cleaner does not contain Persulfates! NEW FlossFish Flossing Tool, an innovative product created by an orthodontic patient! 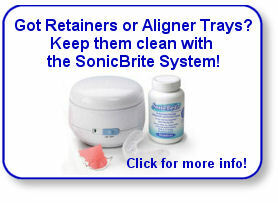 Retainer Brite is one of the most popular cleaners for retainers and Invisalign. Check out these great prices and Free Shipping offer! Did you Know: Movie Star Clark Gable wore false teeth! Confused about brackets? Read this article (in PDF format) from the Journal of Orthodontics. the New York Times and the Vancouver Sun! Looking for some Books about Braces and Dentistry? This page contains a selected list of titles you may find helpful -- everything from consumer titles to textbooks to kid's books! with over 13,000 registered members worldwide! Browse some of our reader stories from around the world in My First Day in Braces, Tales of Woe, and Braces Removal Stories! See the results of a poll with over 110 comments that adults made about their braces and orthodontic treatment! The new SMILE book is now available! Wanted: Orthodontists and Dental Professionals who like to write! 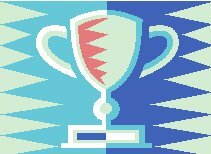 Byline, bio, and link to your site provided for FREE if you submit an article on one of several topics we need covered on our site. Email us to enquire. No cost or obligation to you. Let's share good info with patients! 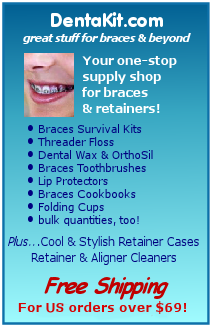 Providing free orthodontic information since March 12, 2002.